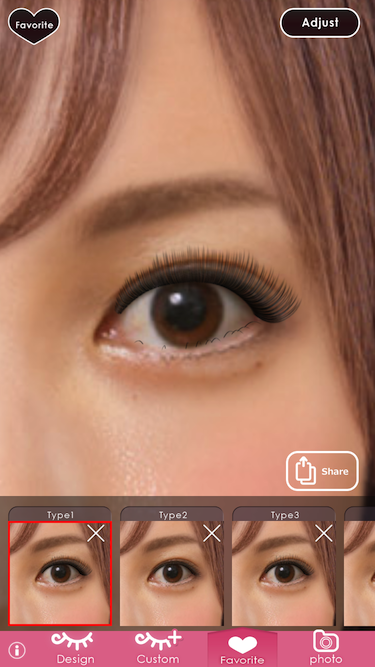 Eyelash is a super-easy way to try out eyelash extensions by uploading photos. "Eyelash" is an app that lets you try out eyelash extensions using just one selfie. You can freely adjust the number of eyelashes, their length, thickness, and curl. Not only can you see it from the front, but you can also check it out from the sides, from above, and from below. What’s more, you can see how it looks when your eyes are open and also when they’re closed. Of course, you can share the results via LINE, Instagram, Facebook, Twitter, and so on. Ask your friends how it looks on you! 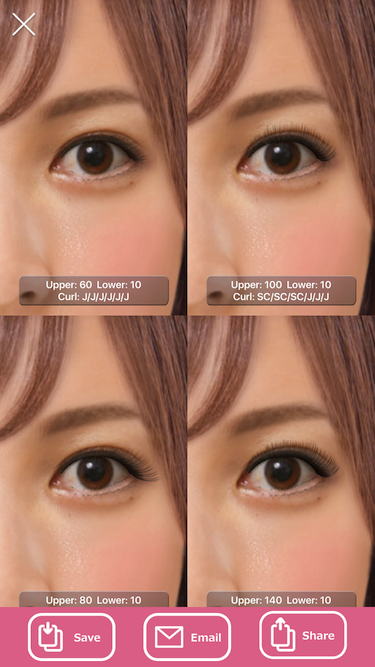 This is the perfect app for girls who are interested in eyelash extensions but are unsure of how it will look on them, and also for those who want to try new designs. Find a look you like using “Eyelash”, and take it to the salon. Discover your eyelash extension style now!